In our Small Group Personal Training, you get the best of both worlds with hands-on instruction and a small group of classmates who can keep you motivated to give it your all. Our Small Group Personal Training is limited to 3-5 people per class and can make your workouts more enjoyable than ever before. Join us at Vigeo Health and take on the best training in all of Singapore. We're conveniently located at Fort Canning Hill so come join us today! Just fill out the short form on your screen. How Does Our Small Group Personal Training Work? We aim for you to train with classmates of your same skill level but all abilities are welcome at Vigeo Health & Fitness. Each session is led by a dedicated coach who can challenge you to get the most out of your body and keep you motivated week after week. At Vigeo Health & Fitness, we're not looking for temporary solutions or gimmick training. We're here to help you find sustainable success and we do that with individualized instruction and a commitment to every single person we train. 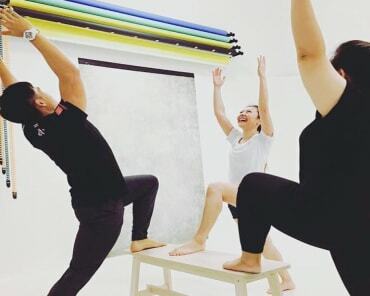 From day one, we'll work to understand your goals and we'll push you through a revolutionary workout that is unlike anything else in Singapore. Join Us Today For The Best Small Group Personal Training Around! If you're looking for a better way to train, look no further. At Vigeo Health & Fitness, we're dedicated to offering a holistic fitness plan that takes your unique skill level into account. We're here for the individuals, not the masses. Sign up for our Semi Private Training or learn more about everything we have to offer in Singapore. Just fill out the short form on your screen to get started today!